The new 21 in. 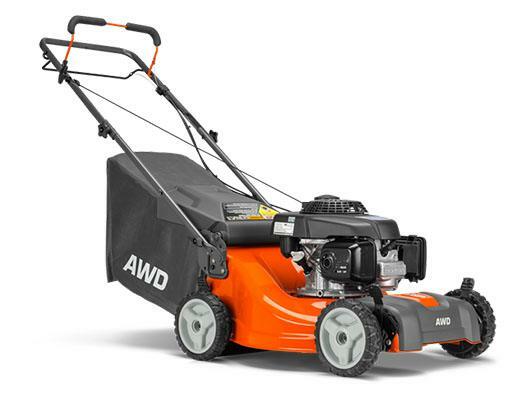 15-gauge steel high performance cutting deck from Husqvarna integrates the latest advancements in technology and development with traditional design, providing a hi-tunnel mower intended to meet the highest expectations in cutting performance. For some mowers, a large capacity bag might be a challenge, but when your mower is powered with Husqvarna's All-Wheel-Drive there's more than enough capability to carry a full load; through thick turf and other challenging terrains. Equipped with engineered tread and All-Wheel-Drive with the added benefit of improved unit balance, these new mowers are sure to please from the postage-stamp yard professional to the rural weekend warrior.